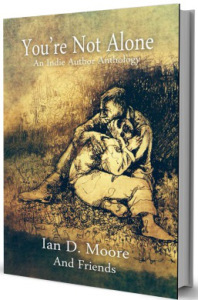 You’re Not Alone: An Indie Author Anthology Paperback Release!! Extra, extra, read all about it! Yesssssss! For all those old-fashioned types who still love the feel of a real paperback book, feast your eyes upon this work of pure joy. This, my esteemed readers, is the anthology you have all been waiting for. Created from passion, determination and a healthy dollop of love, this book of twenty- eight short stories is now available to order in paperback to coincide with the ebook release on 10th July. Be one of the first to support Macmillan Cancer and the writers who gave their time and talent to create this epic debut anthology. Enjoy!! Next Next post: Salby Damned – Final Release! !